The placements, which will run for a minimum of eight weeks, include using satellite images to map deforestation and working on electric propulsion systems. 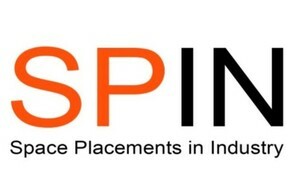 The scheme, which offers paid work placements for students who graduated in 2017 or 2018 or postgraduate students, is funded by the Agency’s Space Placements in Industry (SPIN) programme, with grants of up to £3,000 for the organisations involved. "I am delighted that our SPIN scheme is proving to be so popular with companies in the UK space sector. We have some fantastic opportunities available for people to apply for and we will be announcing more placements in the coming weeks. The space sector is a growing success story in the UK and these opportunities offer a great taste of working within this exciting industry." The UK space sector is growing fast, with an additional 30,000 new staff required by 2030. This scheme, which is supported by the Satellite Applications Catapult in Harwell, is part of the Agency’s efforts to help build a skilled workforce in the UK. While Tim Peake’s Principia mission captivated people across the world, inspiring millions of youngsters, working in space is not just for astronauts: there are many exciting jobs behind the scenes. This scheme allows students to experience the breadth of opportunities that the sector can offer, developing skills crucial to the success of the sector and supporting the growth of businesses within the sector. The list of placements was unveiled during World Space Week, which runs from 4-10 October. The week-long international celebration of science and technology is co-ordinated by the United Nations and involves thousands of events around the world. The start dates for each post will be agreed between the applicant and the host organisation. Each placement must be completed by 28 February 2019. Visit the Satellite Applications Catapult for more details and how to apply. A forest mapping company using Earth observation data for carbon monitoring, based in Edinburgh, the project will use Sentinel data to map deforestation. An atmospheric remote sensing company based in Harwell, the project involves working on a feasibility study to develop a radar wind profiler to provide key ocean data. An opportunity to gain experience in the space engineering industry developing rocket engineering and space technology. A company developing a wide range of electric propulsion systems that will enhance the UK capability of spaceflight and in-orbit space propulsion, based at Harwell. This project will be working on electric propulsion systems.